A task a day for 31 daysOne of the things you absolutely must be able to do as an educational technology leader is know and understand what is actually going on in your domain. You need to know the facts, or at least be able to put the facts up on a computer screen straight away. Sometimes I've gone into schools and asked the Head of ICT, "Why are the boys here doing better than the girls in ICT, and what are you doing about it? ", to which they have replied, "Are they?" That is not the correct answer. I don't want to get tied down to one particular country's rubric here, so what I'm going to do is suggest some generic questions you should be asking. You will want to add a few of your own that are pertinent to your own school or country. First, though, a word about the data. I don't think you need to be a statistical genius to be able to see what's going on at a glance, as it were. For example, if 70% of the boys attained Level 5 last year, and only 40% of the girls, that would seem to suggest that the boys are doing better than the girls. However, perhaps the girls are making faster progress over time than the boys. If the gender balance isn't split more or less 50-50 that could be skewing the figures. I think it's worth enlisting the help of someone who does understand this sort of thing — perhaps a mathematics teacher or the person responsible for data returns in the school. But if you do know how to delve into the data, no cheating by using an obscure type of calculation to make the results favourable. I recall an inspection I was on in which the Headteacher sought to prove there was nothing amiss in the school because the examination results of the six students (out of around 300) who were taking a course in Advanced Physics had improved by half a percentage point over last year, using the chi-squared distribution technique. If you don't like my potatoes, why did you dig so deep? (although I'm not convinced she was referring to exam results), but in the long run you're more likely to do best by your students by facing the facts rather than trying to avoid them. OK, with no more ado, let's consider the sort of questions you ought to be able to answer. Bear in mind that members of your team need to know this too, or know about it and where to find it. You will need to involve them in the data-gathering process so that they don't feel 'done to', and you will need to share the results with them. Also, you will have to go through the process every year: it's not a one-off exercise. 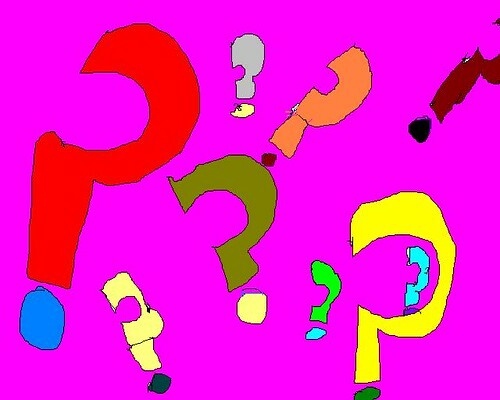 Questions, questionsWhat ICT is being taught, and where? For example, do they teach control technology in the Design and Technology department (if you're in a secondary school)? Are they using electronic keyboards and a composition program in music lessons? Where do the students get opportunities to use educational technology, and apply their knowledge of ICT, in their daily school lives? Is ICT taught to all students in every Year or Grade? Are they getting their statutory entitlement (in countries where there is one)? How is it organised? For example, a two hour lesson every two weeks is not usually as effective as a one hour lesson each week, even though the total amount of time comes out the same. What was the percentage of students who attained each Level at the end of the last school year? How do these results compare with the previous year? Was there a difference between boys and girls, or different ethnic groups? If so, what are you doing about it? What do you do for youngsters with special educational needs? How do you stretch the high fliers? How do you cater for students who are unable to get into school, or who have just returned after being absent? Do you have attainment targets in place for next year, eg "At least 50% of our students will achieve Level 4"? How are the targets being set, eg is it based on discussion with colleagues, handed down from 'on high' or did you roll some dice? How is students' knowledge and understanding of educational technology assessed? Do they know what Level they're on, and how to get to the next one up? Do you and your team know about, and make effective use of, assessment for learning techniques? What are the accommodation and resources like? For example, how many computer labs are there? How many class sets of laptops are available on loan? Is there an interactive whiteboard in each classroom? What is the student:computer ratio?Can the students bring their own devices in? Do you have a scheme to tackle the 'digital divide'? How much use is made of the facilities?, For example, how often are the computer labs used? How often are the banks of laptops borrowed? Are students taught how to keep themselves safe online? Not only from sexual predators, but from financial scams, misleading information, or from potentially damaging their own future prospects? Staffing: are the members of your team well-qualified? Not necessarily academically, but in the sense of being knowledgeable enough to teach the subject. If not, shouldn't you be sending them on courses? What about your colleagues: are you providing professional development opportunities for them too? Have there been any issues of staffing which have had an impact on students' attainment in the subject, such as high staff turnover? What strategic planning takes place, in terms of both targets (see above) and budget, taking into account the total costs of ownership? How are the interests of educational technology represented in the senior leadership team? How far is technology used, both by you and your team and the school in general, for administration and management?